Ladies and gentlemen, today's the day. See you on the other side. The intrigue: Minnesota's head coach is Richard Pitino. His father, Rick, was fired from Louisville in 2017 amid a second scandal and is now suing the school for $40 million. Quite the storyline. Fun fact: LSU sophomore Tremont Waters is one of the best perimeter defenders in the country (3.0 steals; second in nation) and a solid distributor (5.9 assists) and scorer (15.9 points), too. Might be the most slept-on player in the tournament. Key stats: NMSU out-rebounds opponents by more than nine boards per game (third in D-I) and they're extremely deep (lead the nation in bench minutes). Bruce Pearl will have Auburn ready to play, but a win won't come easy. Player to watch: Vermont's Anthony Lamb was one of the best mid-major players in the country this season as a junior, averaging 21 points and six rebounds per game while shooting better than 40% from three. Player to watch: Michigan State PG Cassius Winston has been one of college basketball's preeminent facilitators for three years now. He's got a little Rajon Rondo to his game, and he's a "March folk hero in the making." Trendy upset pick: "Belmont leads the nation in assists and runs great offensive actions that Maryland will find hard to guard. Belmont will pull the upset and move forward," writes ESPN's Jay Bilas. Player to watch: Dedric Lawson (aka, the "Tim Duncan of college basketball") has been everything Kansas dreamed he would be when he transferred in from Memphis, averaging 19 points and 10 boards per game in his first season in Lawrence. Matchup to watch: Murray State's Ja Morant vs. Marquette's Markus Howard are the Big Dance's only two players who rank among the nation's top 10 scorers. Should be electric. Twins to watch: Caleb (19.2 points per game) and Cody Martin (superior defender and playmaker) make up the backbone of a Nevada team that has had Final Four expectations since the preseason. Injury report: Hopefully, reports coming out this week concerning Kentucky's P.J. Washington being in a walking boot don't keep him on the sideline or limit his game. The future first-round pick is one of the country's best inside-out threats. Fun fact: Did you know that all 10 Big East teams finished with winning records and are playing in a postseason tournament? Pretty darn impressive, yet won't mean nearly as much if Villanova, the defending national champs, fail to make their patented March run. Player to watch: In any normal non-Zion season, we'd be freaking out over Gonzaga's Brandon Clarke. The San Jose State transfer shot nearly 70% from the field and averaged over three blocks per game (third in the nation). Prediction: "The Wolverines are among the best defensive teams in the nation and should get past Montana with relative ease," writes Bilas. Sorry, Montana fans. He said it, not me. The intrigue: Wofford's Fletcher Magee is three triples away from setting the all-time record. ... P.S. You should read this. Matchup to watch: ODU's Ahmad Caver is one of the top mid-major point guards, averaging 17 points and 6 assists. He's a good defender, too, but will have his hands full trying to slow down Carsen Edwards (23 ppg), who is the engine for everything Purdue does. Breaking news: Senior point guard Frank Howard, who is coming off a 28-point outing against Duke, has been suspended indefinitely for a rules violation. In his absence, freshman guard (and coach's son) Buddy Boeheim will likely see more action. 2. 🏀 How do NBA away teams choose which basket to shoot at first? First of all, did you know that visiting NBA teams choose which basket they want to shoot at first? I always assumed every team just went the same direction — away from their bench in the first half, towards their bench in the second — but when I began noticing the Celtics doing the opposite (including last night in their loss to the Sixers), I decided to look into it. What's happening: I reached out to Celtics writer Keith Smith to hear his take. Turns out, he's done plenty of research on this subject. "22 out of the 30 NBA coaches always choose to have their team defend in front of their own bench in the second half. It's only eight who do the opposite, either on a regular basis or always. The Celtics are one of the teams who always do it." "Of the eight coaches, it's Brad Stevens (Celtics), Terry Stotts (Trail Blazers), Gregg Popovich (Spurs) and Pop's coaching tree." Why it's happening: My assumption is that most coaches choose to defend in front of their bench in the second half so that they can make late-game defensive adjustments. So, perhaps Stevens prefers to make offensive adjustments instead? "Yup, exactly," Smith told me. "The Celtics tend to run more offensive sets later in games, and Stevens calls most of his late-game timeouts on the offensive end of the floor." "And then on defense, if you look at Stevens and the Pop coaching tree, their teams essentially do what they do defensively no matter what. There's not a lot of variation in their defensive sets (whereas a Tom Thibodeau- coached team, for instance, is constantly making adjustments)." Follow Keith on Twitter. He's awesome. Ichiro Suzuki has informed the Seattle Mariners that he will retire after today's game in Tokyo, which is almost over. Sad day. Love you forever, Ichiro. April 2, 2001: When Ichiro made his MLB debut, the No. 1 song in the country was "Butterfly" by Crazy Town. Hahaha wow. Awards: 2001 AL MVP and Rookie of the Year; 10-time All-Star, 10-time Gold Glove winner. With two weeks left in the NHL regular season, three teams have already clinched playoff spots, some are so close they're basically locks, plenty more are on the bubble and four have been eliminated. Reminder: The top three teams in each division make up the first 12 teams in the playoffs, and the next two highest-placed finishers in each conference, regardless of division, earn the wild-card spots. Fox Corp., the company that was created after 21st Century Fox sold the majority of its entertainment assets to Disney for $71.3 billion, is only a day old. But analysts are already excited about the prospect of a slimmed-down company that can focus its energy on things like live sports, writes Axios media reporter Sara Fischer. The details: Fox gave up the majority of its international sports networks as part of the deal (Sky Sports in Europe, Fox Deportes in Latin America), so the new company is expected to invest more time and money into airing domestic sporting events on Fox Sports. Be smart: Disney also acquired Fox's 22 regional sports networks, but since it owns ESPN, it's being forced to sell those for anti-competitive reasons. The big picture: Fox Broadcasting Company, which will remain with Fox Corp., was built off of the back of NFL rights, so you can bet that football will play a big role in the company's strategy moving forward. 55 years ago today, John Wooden's UCLA Bruins defeated Vic Bubas' Duke Blue Devils 98-83 to win the national championship and complete their first undefeated season (30-0). Fun fact: The Bruins are the only school with more than one undefeated season (they went on to have three more in the span of 10 years). The other undefeated teams: San Francisco (1955-56), North Carolina (1956-57) and Indiana (1975-76). Virginia is looking to make a title run in this year's NCAA tournament on the heels of last year's stunning loss to UMBC in the Round of 64. Question: Only three teams have won a championship after losing in the Round of 64 the previous year. Can you name the last one to do it? Hint: They've won multiple titles this century. 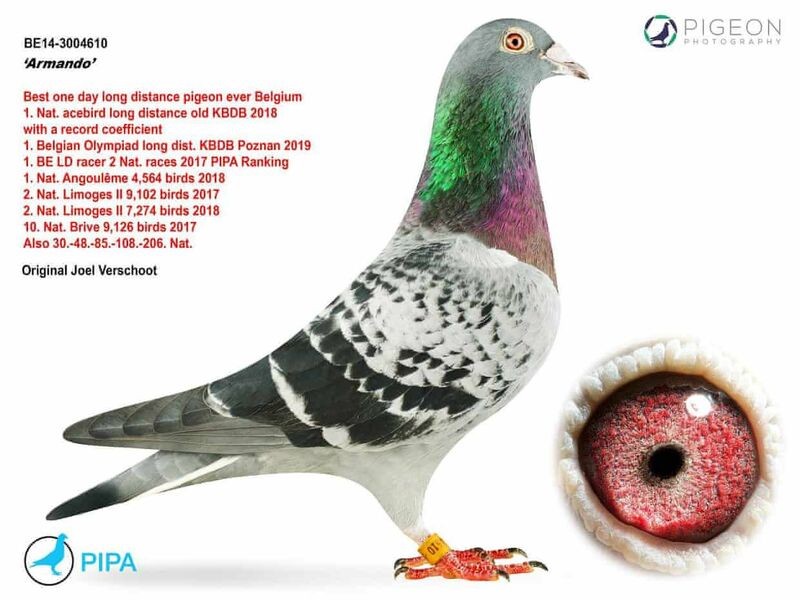 A five-year-old racing pigeon named Armando has been sold for $1.5 million, more than three times the world record, The Guardian reports. What's happening: "Pigeon industry insiders said half a dozen Chinese enthusiasts were responsible for the huge sums being paid in recent years, with races becoming increasingly competitive and at times cut-throat." Seven of Armando's offspring were also auctioned for an average price of roughly $25,000 each, so even though he's nearing retirement age, he could have highly profitable breeding years ahead of him. Go deeper: There was a huge pigeon racing cheating scandal in Shanghai last year. One of the most absurd things I've ever read. Congrats to our winner, Rob Van Auken, who correctly predicted all three and also came the closest to nailing the Lightning-Capitals final score (5-4).